As all I have time for now are showers, I can't remember the last time I used a Lush bath bomb. Sad times as its definitely my guilty pleasure. So as Valentine's Day approached, I thought why not treat myself to some Lush Valentines treats. This little beauty didn't last long but the smell of rose, bergamot and lime more than made up for it. The bathroom smelt absolutely heavenly and it left the bath a beautiful pink. I hope that this is a keeper for Lush as I love the smell. I already have a bathroom stocked up just in case. An emoji with hearts for eyes now who couldn't love this cheeky little fella? Well it would seem me. Let's start with the positives like their other bubble bars it makes great bubbles. But that is where the complements end, as what is meant to be a fresh floral smell of lemon smells synthetic and my lovely bath was overpowered by a smell that was not pleasant and at £4.25 definitely better bubble bars in their range. This is a lovely product smelling of Rose, Ylang Ylang, Jasmine and apricot. I managed to get three baths out of it which was fab, the only challenge is where to store it, with the central heating on the little blighter kept melting. This beauty is definitely my favourite of all the Valentine's Day offerings. The addition of cocoa butter to the outer part of the bath bomb is ingenious, not only does it mean the bomb is slower to fizz but it also is wonderfully moisturising and softening on my skin. A wonderful citrus smell and turns the bath a vibrant orange. I have to admit that I picked this up because of how cute it looked. It reminded me of love heart sweets, on melting it gives off a warming vanilla and orange scent. 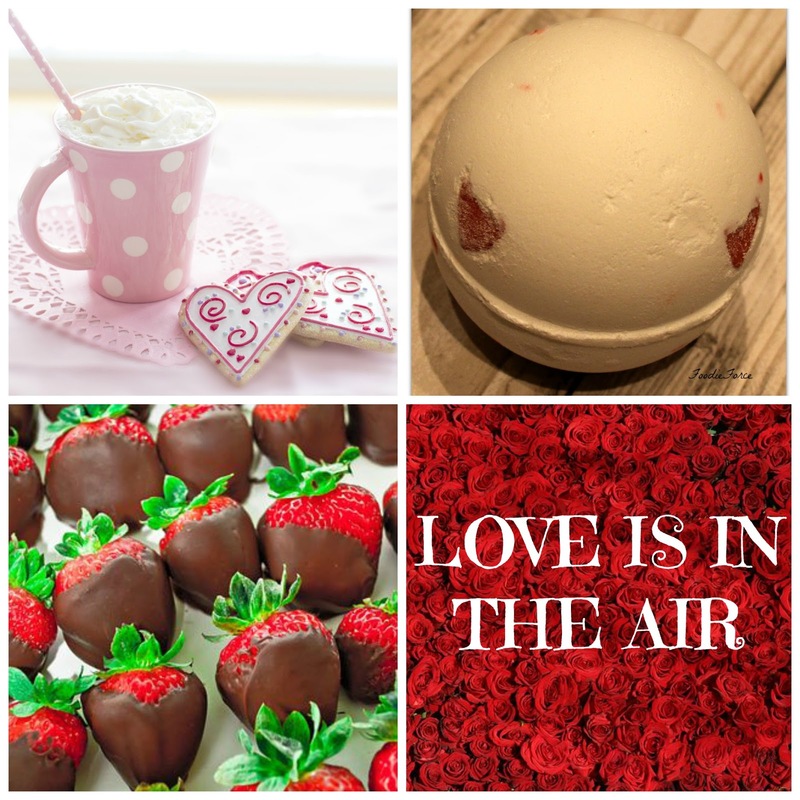 It is a wonderfully moisturising bath bomb with cocoa hearts and red confetti as it melts. A common complaint with Lush bath bombs are that some of the ingredients stain the bath. This is no different with the red confetti in this bath bomb, sticking to both me and the tub. But i'm pleased to say a little bit of elbow grease and it cleans up a treat. I'm making a speedy dash to my nearest Lush at the weekend to stock up on Over and Over. Did you try any of the Lush Valentines offerings? What is your favourite treat for Valentines?